I have a wreath or decoration of some sort on my front door almost all the time. I love offering a warm greeting when guests come into my home. This year I ended up with multiple festive options to hang on my door, thanks to my never ending crafting obsession, so I decided to use my wreaths and other decorative items around my house as well as on my front door. 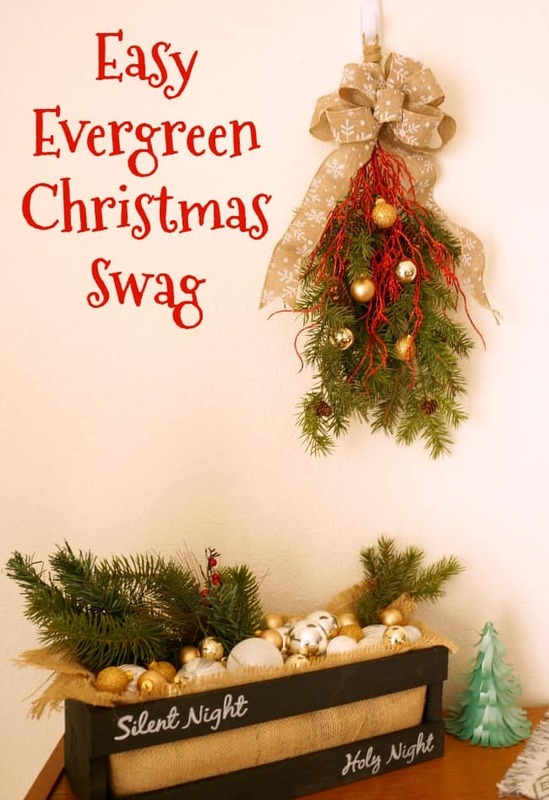 One of my newChristmastmas additions is this easy evergreen Christmas swag that I made from items I found in my Christmas decor bin. 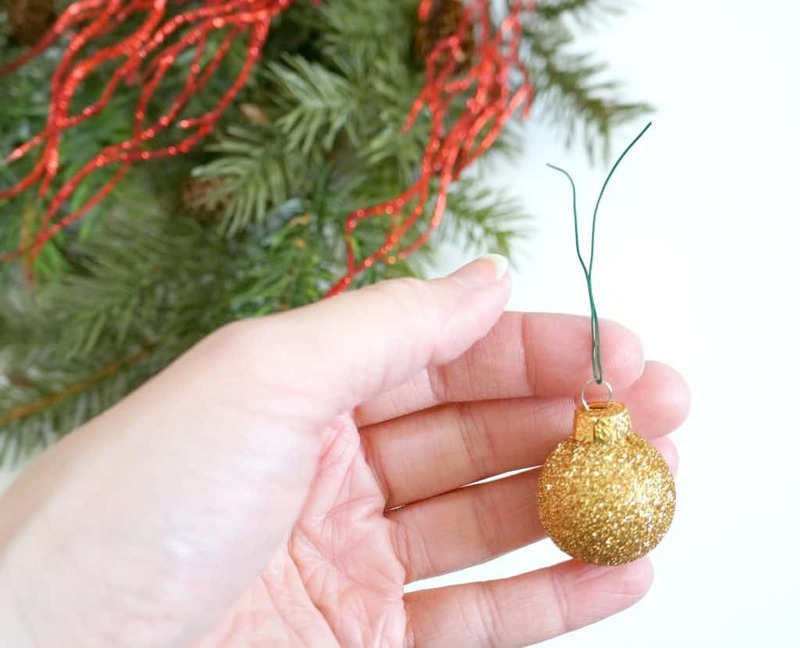 Check out how easy this is to make and hang one on your door (or wall, window etc) this season. Supplies. These were all items I had on hand from previous craft projects and decorating. Evergreen branches. I used faux pieces I have had for years, you could also use real. 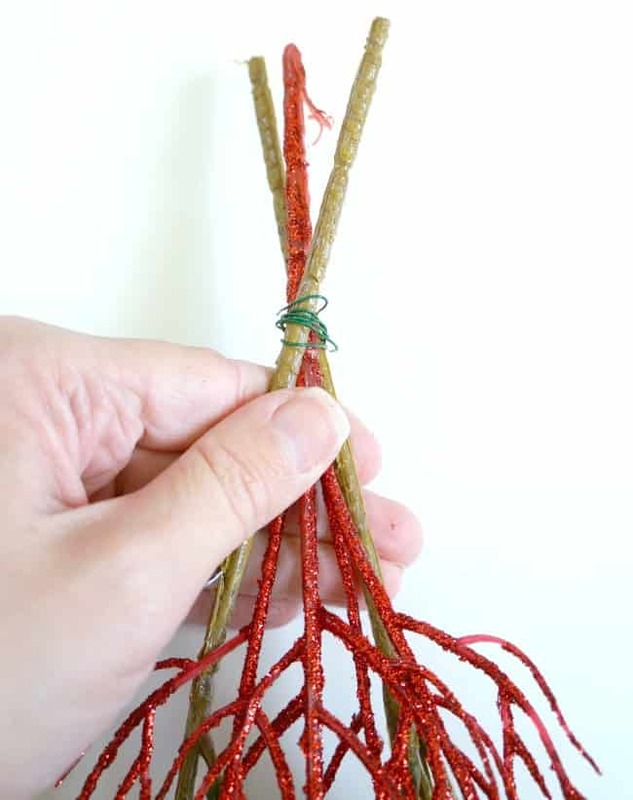 I began by gathering the evergreen branches and red sparkly branch together and securing them with floral wire. 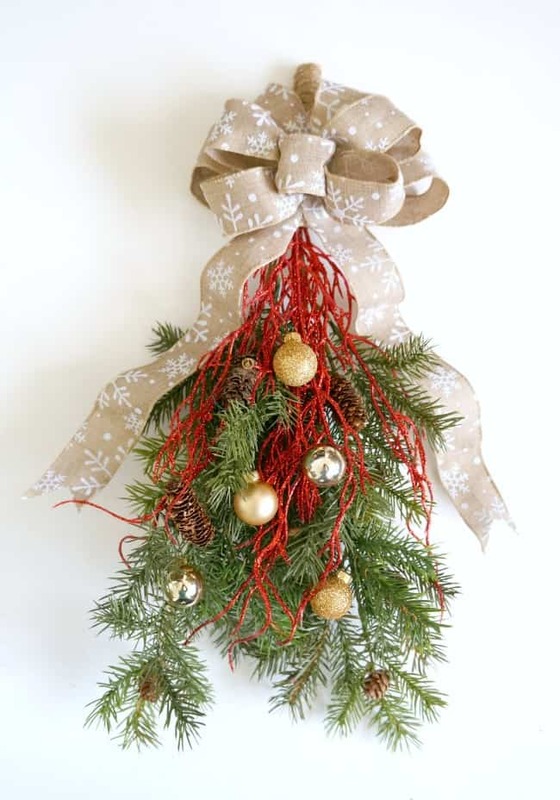 Next I decorated the branches with gold ornaments. I had a few glitter, opaque and shiney ones left over from our tree. I looped floral wire through the top and secured them to the branches. 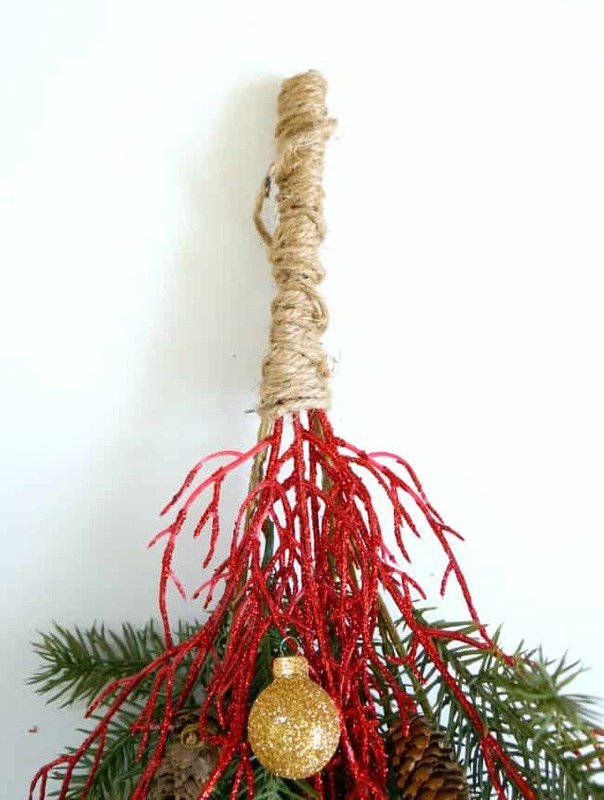 To give the swag a finished look I wrapped jute around the top of the branches to cover the rough edges. I left a loop on the very top to use as a hanger. Finally, I added my simple burlap bow and this swag was ready to hang. It’s on the smaller side so it was dwarfed on my front door. I chose instead to hang this in my kitchen area above a buffet. It blends right in with my chalkboard crate filled with branches. 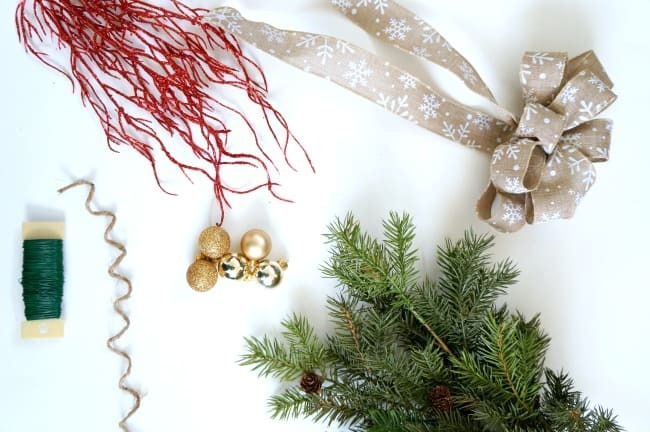 Do you have Christmas swag in your home?